Leicestershire, through agriculture and industry, has always had fairly deep pockets. Which means we have quite a number of lovely homes nestled within the gentle gold and green of our shire’s undulating countryside. 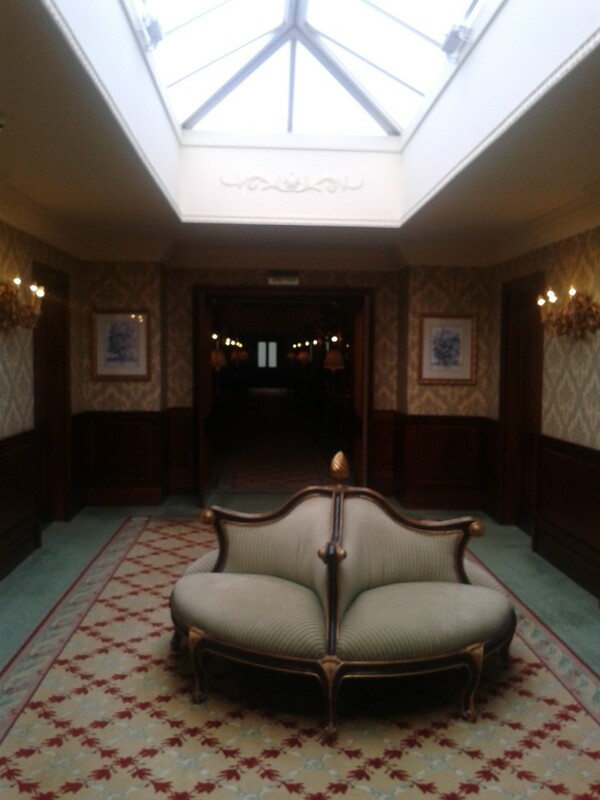 Kilworth House (Hotel and theatre) is one such place. Former home of genuinely lovely Black Sabbath guitarist Tony Iomi – a true gent who once let a Mercury snapper come in and have a poke around – this grand old house offers its visitors a very pleasurable retreat. 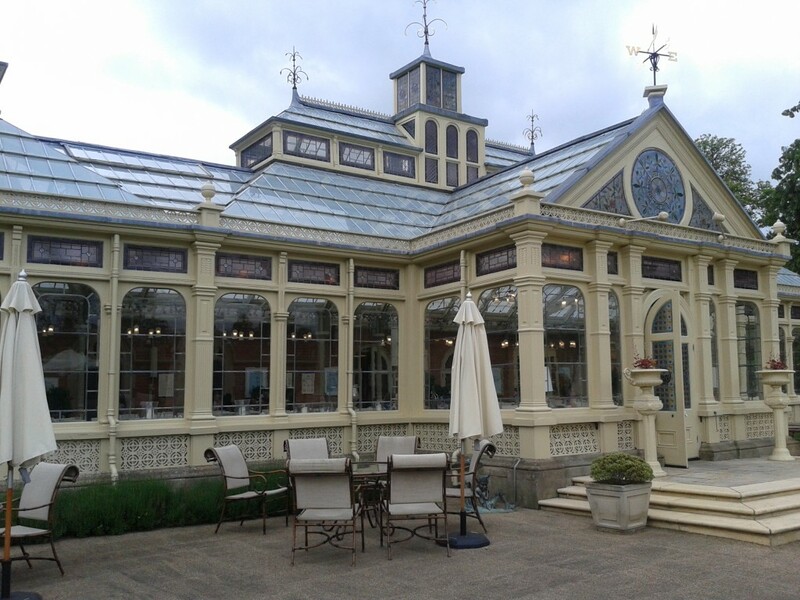 The world is full of beauty and The Orangery at Kilworth is one such example. 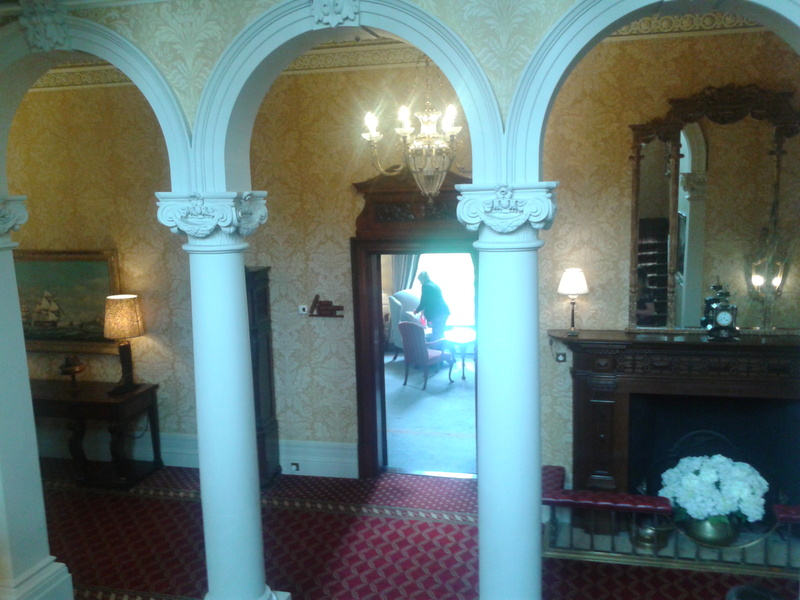 It’s a Victorian pleasure palace where well dressed staff provide you with cake and tea in beautiful surroundings. Not just any old cake and tea. Really, really good cake and tea. Now, I have to say I am rather partial to a little luxury. And yes, I am also partial to drinking beer in a muddy field with absolute strangers. Pork scratchings, I have to say, won’t be turned down either. And yet, once in a while, my thoughts turn to Kilworth (I’ve only been four times). So me and my friend L trotted off to scoff some finger sarnies, cake, tea and coffee a few weeks back. 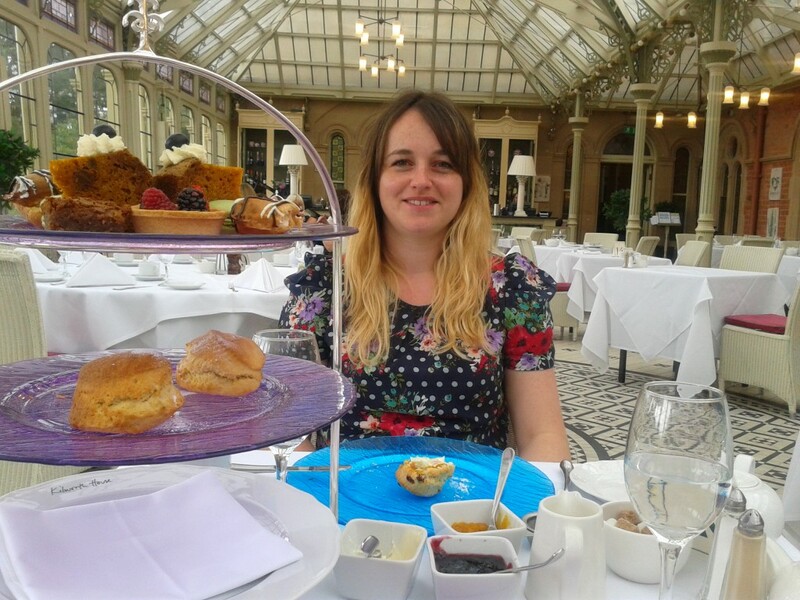 Afternoon tea at Kilworth is £25. If £25 sounds extreme, you’re obviously not from London. 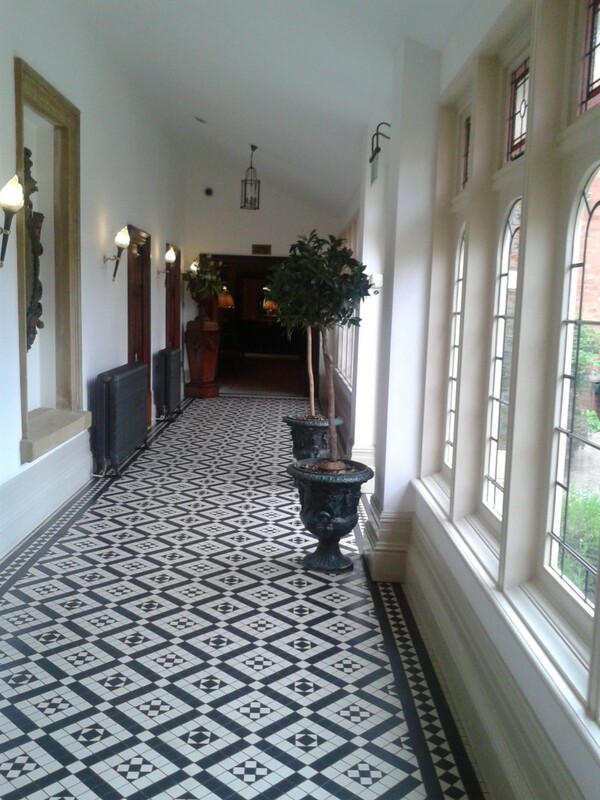 ~ Rothley Court Hotel, former home of the Knights Templar. My friend and I turned up expecting a feast. What we got were an uneven number of stale (Yes, stale) sandwiches, scones which were okay, butter in a wrapper (Ugh) and a so-called chocolate muffin, which was still in its plastic sleeve. Nice. This experience was in 2011. Hopefully they’ve got their act together since, although I am still too shocked to return. 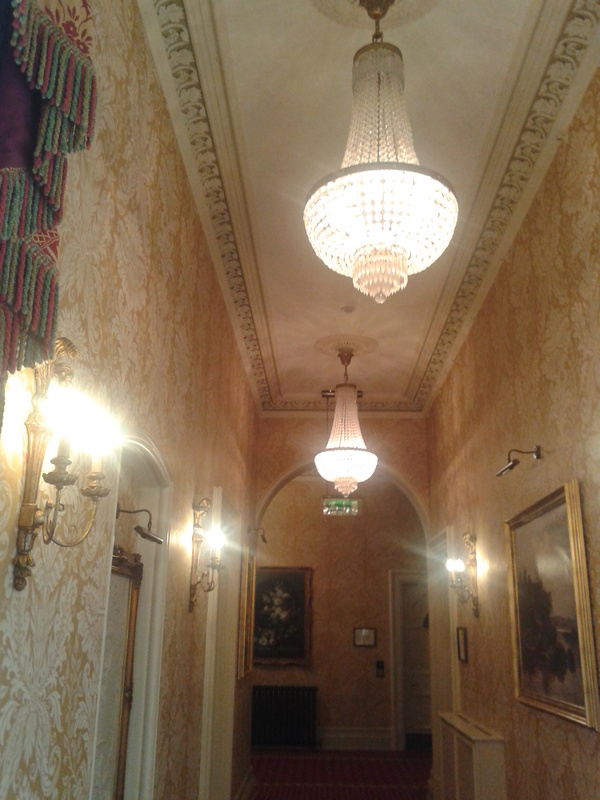 ~ Stapleford Park, family seat of Jennifer, Lady Gretton, the Lord Lieutenant of Leicestershire. Yes, it’s a beautiful house and with a little old family church in an absolutely gorgeous setting. The afternoon tea? Nothing to write home about. If I’m paying good hard cash to be spoiled I don’t expect to see a teabag in a cup of semi hot water. I would like a tea pot and loose leaf tea. I would also like to choose from a range of teas. What little they had came in a bag with a string. Did they have any Lady Grey? Did they bobbins. The cakes weren’t memorable or the sandwiches. Me and my sister in law last visited in about 2014. Could definitely do better. 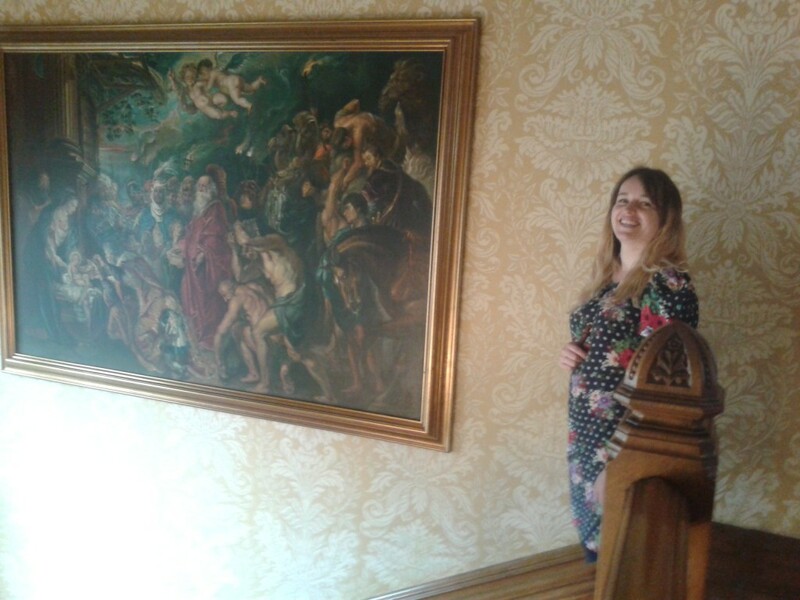 On a plus note, the staff were nice and the surroundings were pretty. 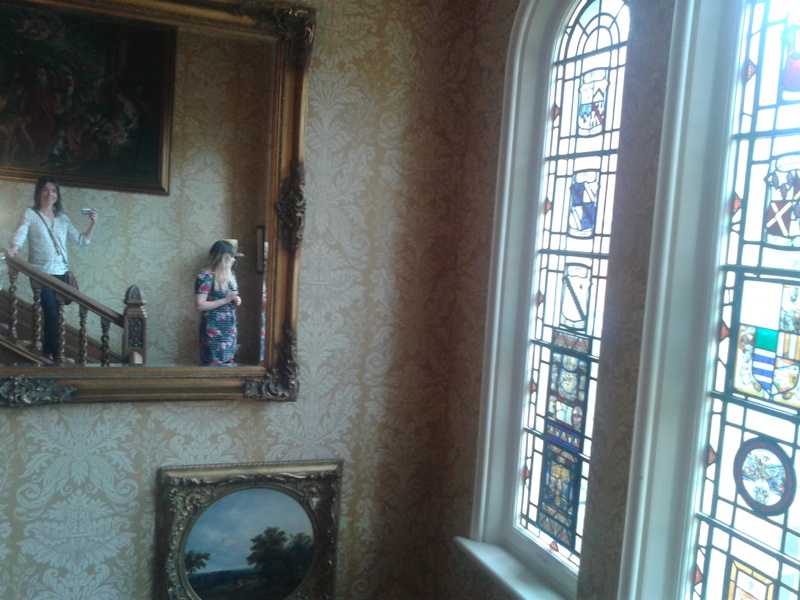 I suppose the thing which sticks in my mind the most was a portrait hung in the room where we had our tea. It was of a young noblewoman with the most disturbingly mournful expression you could imagine. 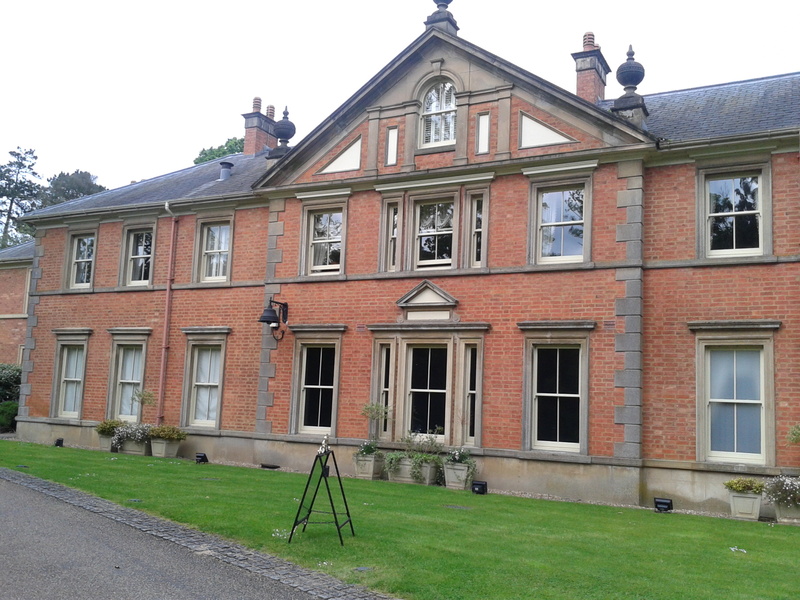 ~ Beaumanor Hall, a hugely historic and elegant house with lovely lawns and trees. It also belongs to the people of Leicestershire via the county council. 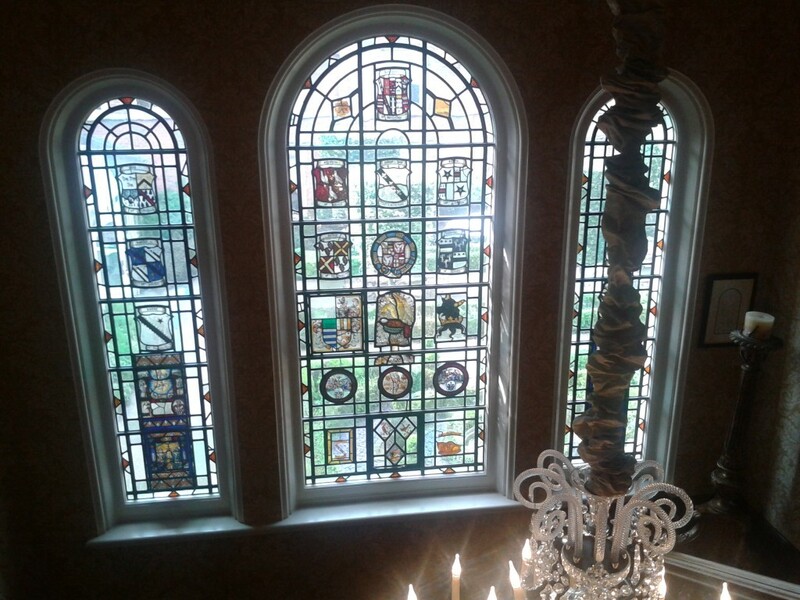 Once home to the Herrick family, it has the most comprehensive heraldic stained glass window spanning an impressive double staircase. 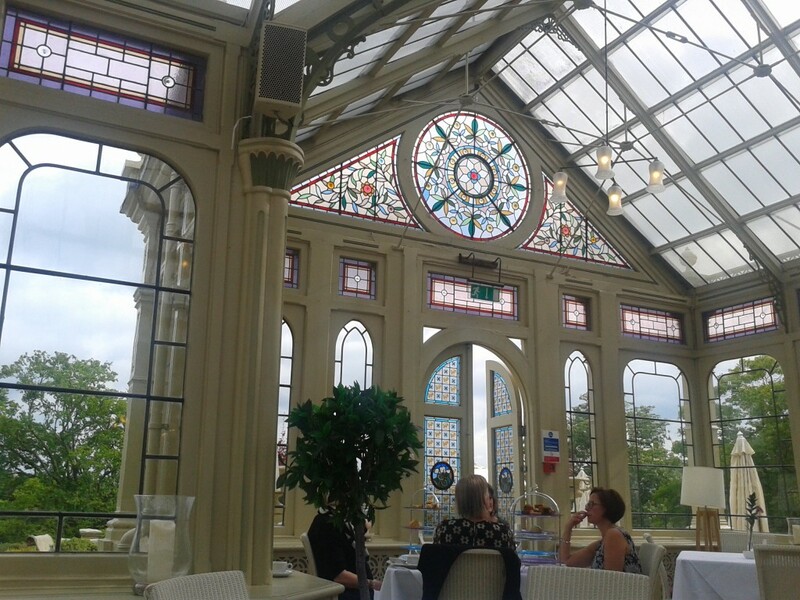 The afternoon tea here was done very well. It was clearly a popular choice and for good reason. The sarnies, the tea and the cakes were ace. We went in a party of six and we had a ball. Highly recommended. Caution: Avoid disappointment. Afternoon tea at Beaumanor is only an occasional visitor to the hall’s calendar. 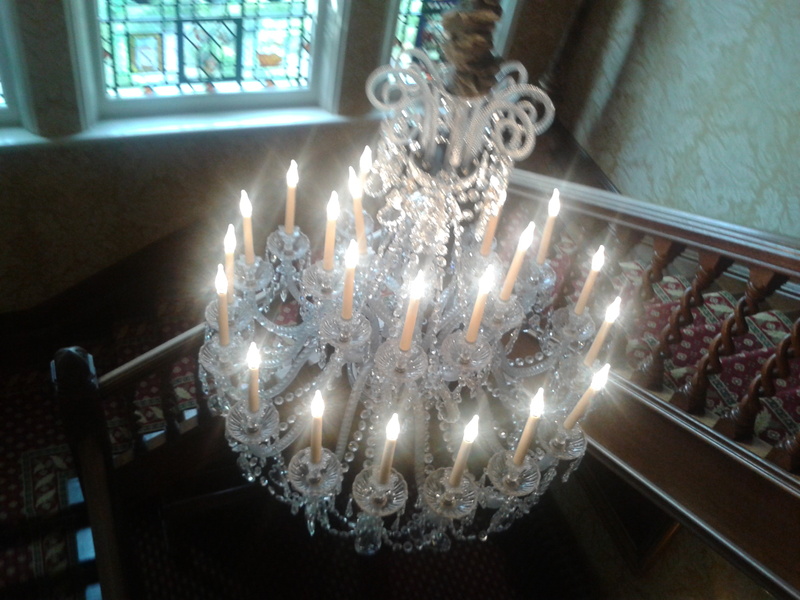 ~ Quorn Country Hotel. The smell of damp greets you as you enter reception. The toilets are the guilty party. Walking in there was like stepping into my old high school hockey boots, which I’d left to fester in a bag many, many years ago. It’s a hotel which could be so much more if the owners chose to actually do things properly. In that I mean spend some cash on the place – get rid of the smell, christ! Our party of three went here to toast a friend’s engagement. We had a glass of Champagne each with our cakes, sarnies and scones. Which were okay but not good. 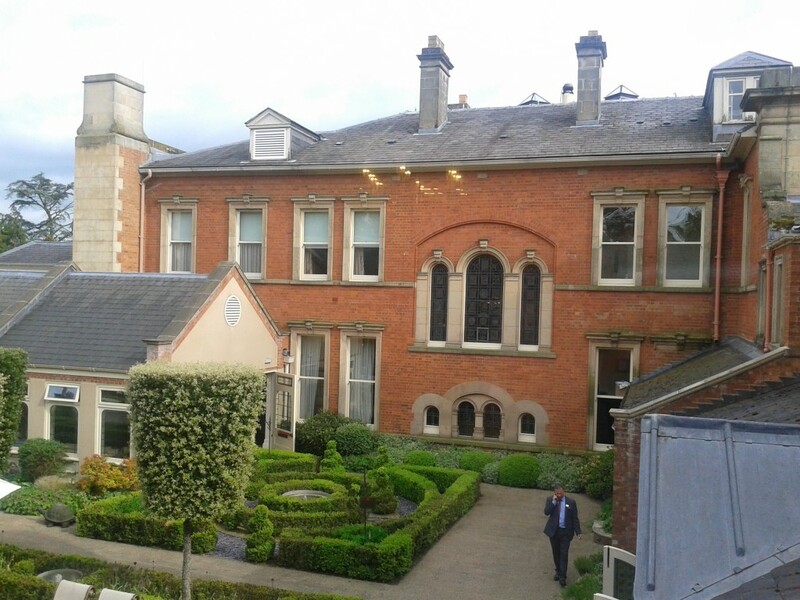 And now back to the main course – Kilworth House. As you can see from the first picture, they go to some trouble to make tadah! cakes. The scones, one fruity, one plain, were lovely: light, fresh and springy. The jam, especially the apricot, was excellent. The sandwiches were okay – egg and cress, ham, and another one I can’t remember, probably cheese and pickle. If I have to say anything here, it’s that we phoned in advance to say my friend was vegetarian. I think she had two egg and one cheese, which is just a bit boring. I think they could have done better. The cakes: We each had an eclair, a slice of carrot cake, custard tart with fruit and a pistachio macaroon. As always, I got myself a little cake box and brought some home for the husband. No complaints there. 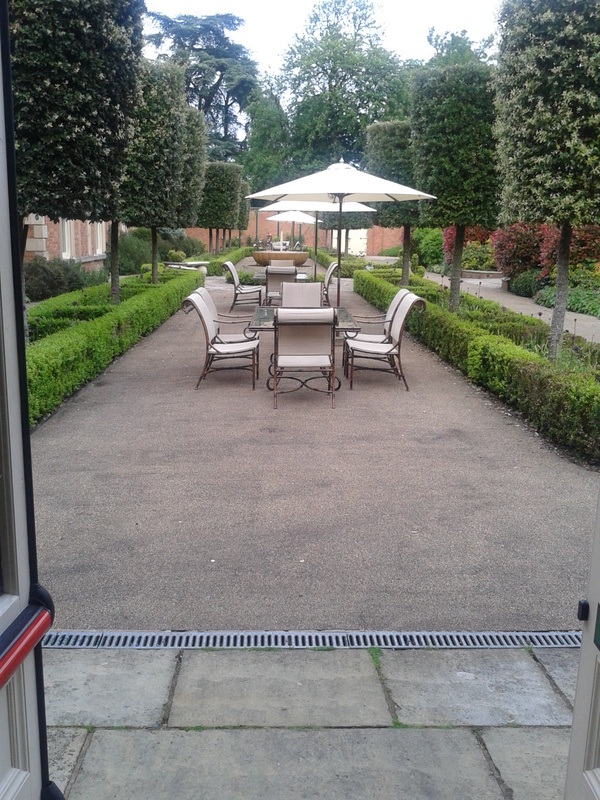 While at Kilworth we felt no pressure to vacate our table. In fact, we were able to have as much tea, coffee or soft drinks as we could handle. We were even able to have them on the verandah. Which I’m convinced is tailor made for drinking gin and tonic on balmy summer evenings. 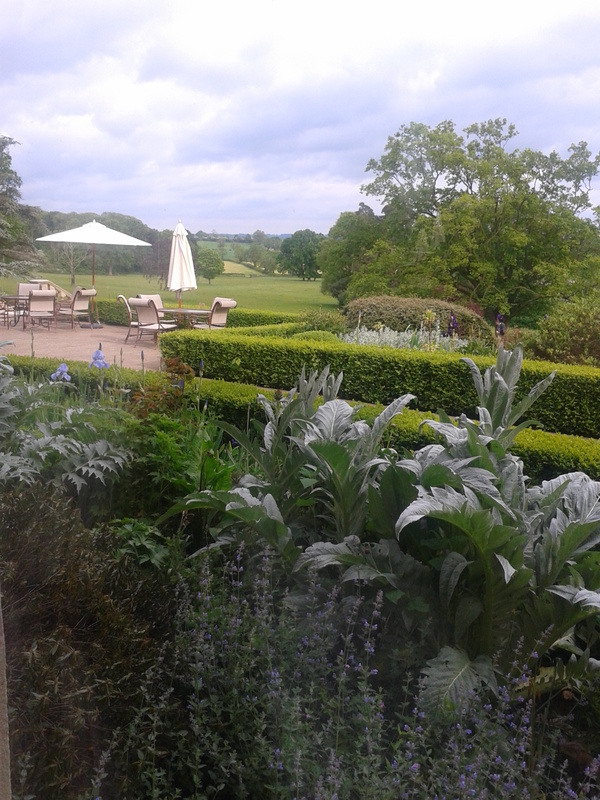 After our afternoon tea – two and a half hours of relaxation – we went for a mooch around the hotel which, although not exhaustively researched, has the best toilets in England. 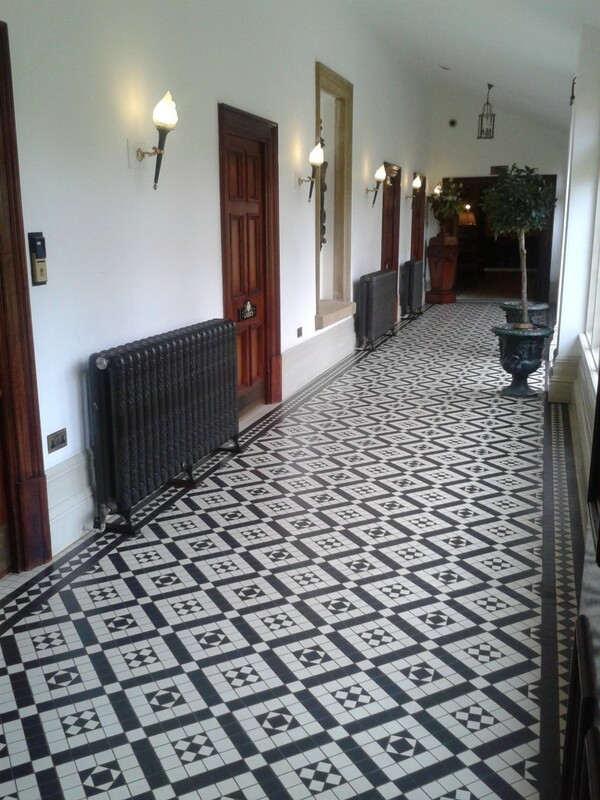 Hallway leading to the best toilets in England TM. 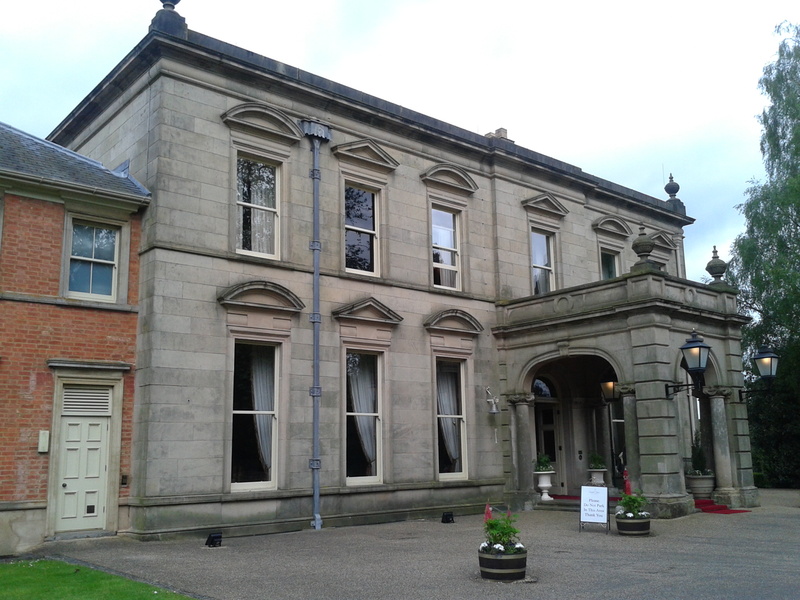 The entrance to Kilworth House. I need to add that I once met a planning officer at the city council who told me that he and his wife regularly blow a few quid on a night’s stay with dinner at the hotel. He spoke very highly of it. Also, Kilworth has an outdoor theatre. Everyone I know who’s been has exclaimed how ace it is and how brilliant their productions. I’ve yet to go. Partly because I’m not generally a fan of musicals. Also, the tickets sell out very, very quickly. In summary, a return visit to Kilworth is on the cards for this autumn. PPS. 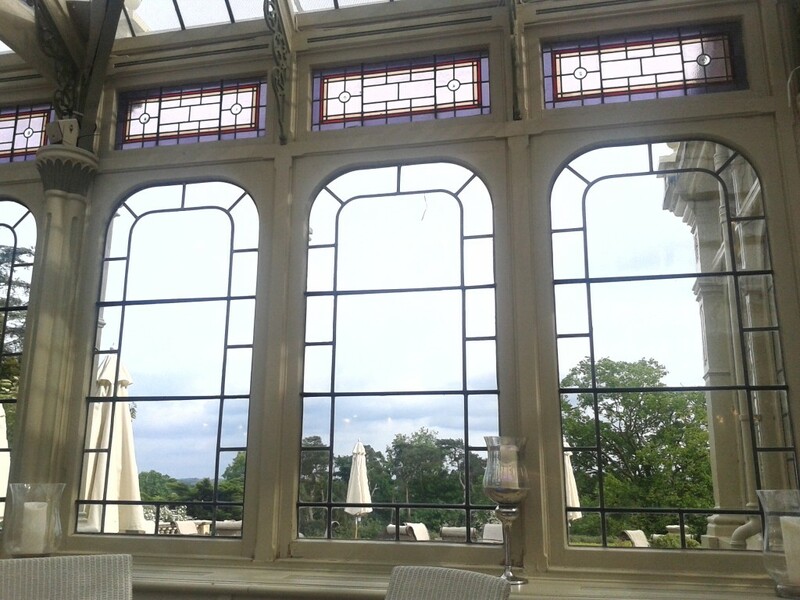 This post will be updated with images of other afternoon tea visits…once I’ve found them.